The protagonist's name is Claude Speed. The game takes place in Anywhere City, which is divided into 3 sectors - Commercial, Residential and Industrial. In each of them there are three gangs, whose bosses give the player missions via payphones. Each district also has a maximum wanted level that the player can aquire, likely to make later levels more difficult. The Commercial District allows a maximum wanted level of four, which results in the S.W.A.T. 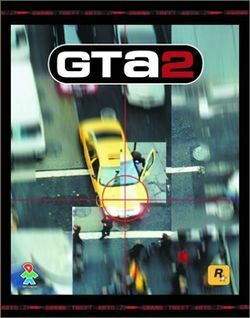 team chasing the player, however, the Residential District allows a maximum wanted level of five, which results in the F.B.I. team chasing the player and in Industrial District you can obtain maximum wanted level of six, so Army will chase Claude.